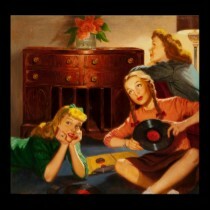 Here is a sad and at the same time funny song, performed in her inimitable style, by the great Arletty. Léonie Marie Julie Bathiat (1898 – 1992), known professionally as Arletty, was a French actress, singer, and fashion model. 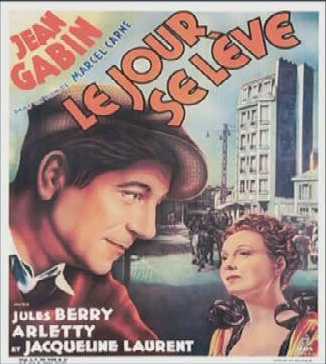 Arletty was born in Courbevoie (near Paris), to a working-class family. After her father’s death, she left home and pursued a modeling career. She took the stage name “Arlette” based on the heroine of a story by Guy de Maupassant. 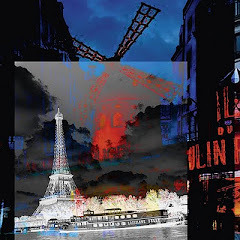 She was not interested in acting until she met Paul Guillaume, a famous art dealer. He recommended some theaters and, at the age of 21, she was hired. Her early career was dominated by the music hall, and she later appeared in plays and cabaret. Arletty was a stage performer for ten years before her film debut in 1930. 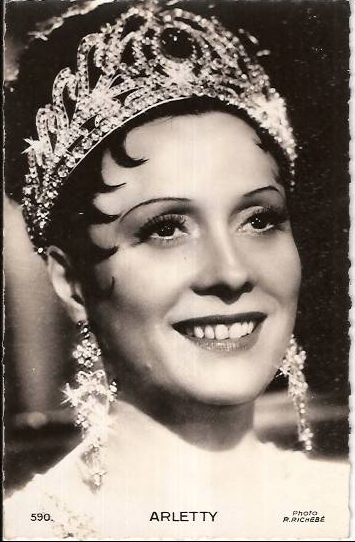 Arletty’s career took off around 1936 when she appeared as the leading lady in the stage plays Les Joies du Capitole and Fric-Frac, in which she starred opposite Michel Simon. She later starred as Blanche in the French version of A Streetcar Named Desire. 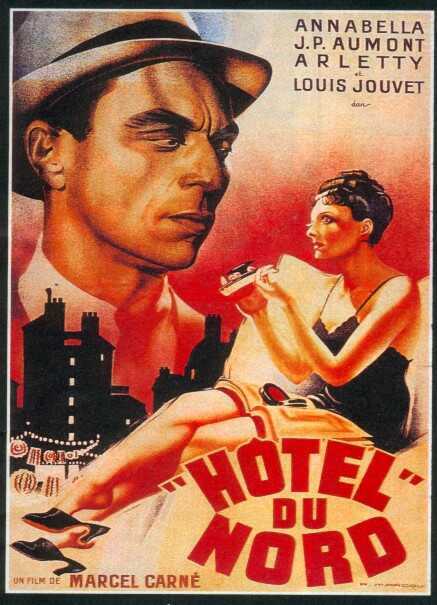 Marcel Carné was known for his poetic realism filmmaking style. 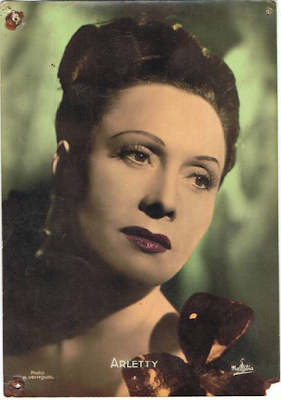 Arletty’s minor role of Raymonde in his film, Hôtel du Nord, garnered attention for her “Atmosphere! Atmosphere!” performance. 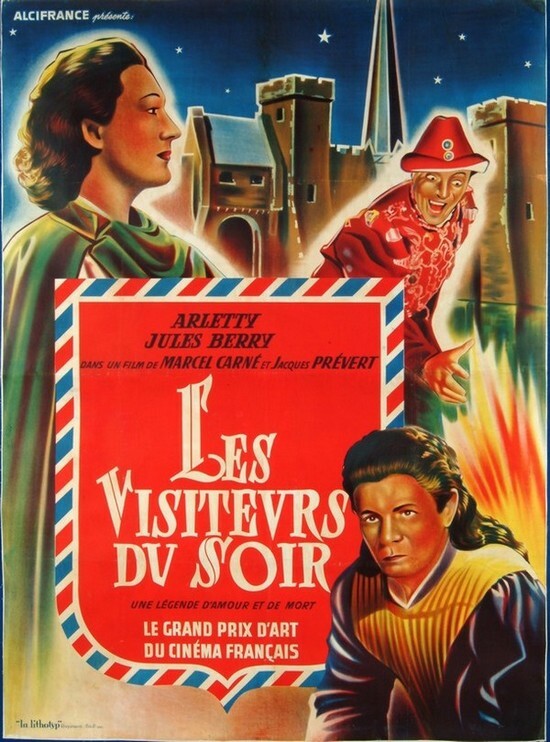 In 1945 Arletty appeared in her most famous film role, the central part of Garance in Les Enfants du Paradis, her fourth role for the director. For this role she earned one of the highest salaries ever in French cinema. 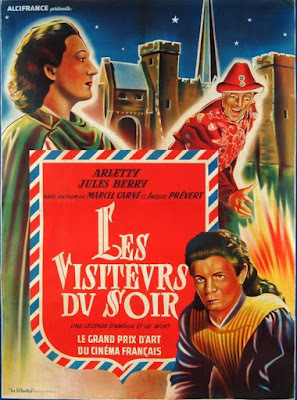 Arletty was the friend of many a famous Parisian painter and writer before and during WWII. She left the show business in 1966, having gone blind. In 1995 the government of France issued a series of limited edition coins to commemorate the centenary of film that included a 100 Franc coin bearing the image of Arletty.